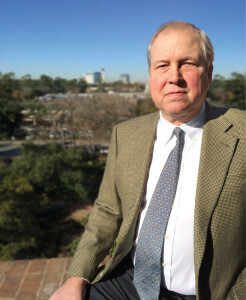 Jon Cole is chairman & CEO of Sidewinder Drilling. In the past five years, 600 to 700 newbuilds have entered the US onshore market. How have unconventionals influenced the makeup of today’s fleet? We’re seeing movement away from older mechanical and SCR rigs. In the late 1970s and early 1980s, when many of today’s rigs were built, there were high-powered rigs that drilled deep gas wells and smaller, faster-moving rigs for shallow oil and/or gas wells. The deep gas rigs stayed on a well for months at a time but were time-consuming to move. The shallower oil rigs could move relatively quickly; however, they were not suited for longer-reach horizontal drilling. Now we are drilling in unconventional reservoirs, where the vertical depth is not particularly deep, but when you combine the horizontal section, the total measured depth is quite deep. As unconventional reservoirs tend to be relatively homogeneous, we are drilling these wells very quickly, and we are moving toward a manufacturing process on multi-well pads. Legacy rigs from the ’70s and ’80s are not well suited for this type of drilling. You need 1,500-hp, AC walking rigs to efficiently drill and clean long horizontal well sections and move on multi-well pads. In some cases, we are drilling a 20,000- to 23,000-ft well in two weeks and then walking to begin the next well in a matter of hours. Smaller legacy rigs are not suited for deeper wells, and legacy deep gas rigs are not suited for rapid rig moves. The current pace of activity is tough on the contractor’s equipment, and it’s even tougher on people. 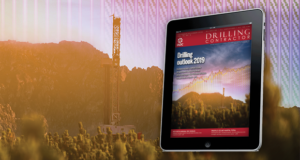 The drilling industry did not anticipate the move to unconventional resources, and it has only been in the past few years that a large amount of fit-for-purpose equipment has been delivered. The industry will develop and build the needed rigs; therefore, my biggest concern is training and developing people to cope with the accelerated pace of drilling activity. At Sidewinder, we are focused on maintaining efficiency and safety. Ultimately, I think the standard onshore rig crew complement will need to be increased. 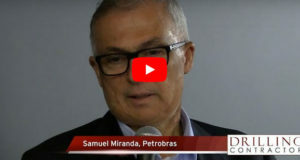 At the 2013 IADC Annual General meeting, Anthony Gallegos, CFO of Sidewinder, highlighted the point that the onshore industry is working the same amount of people per rig as 20 years ago. How have the demands, specifically on people, changed in the past 20 years? It is still the same job, but we are drilling wells much faster. Rigs have catwalk machines, iron roughnecks and top drives. The process is highly mechanized, but when you combine increased maintenance requirements and compress 20,000-ft wells that we were drilling in 30 days just a year or so ago to 12 or 14 days, there is a guy who has to be moving pipe and working other equipment constantly. The best analogy is comparing a land rig to a deepwater rig. 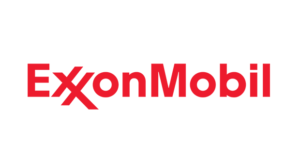 A deepwater rig has a crew of 75 people, and they might drill two to three wells a year in the Gulf of Mexico. That’s 40,000 to 60,000 ft of dirt per year. Onshore, it is not uncommon to drill 40,000 ft of hole in a month or so. Onshore, we are doing it with 11 people instead of 75. In order to deliver safety excellence, to continue performance improvements and to maintain our rigs to high standards, we will need more people. That is the issue we need to resolve with our customers. 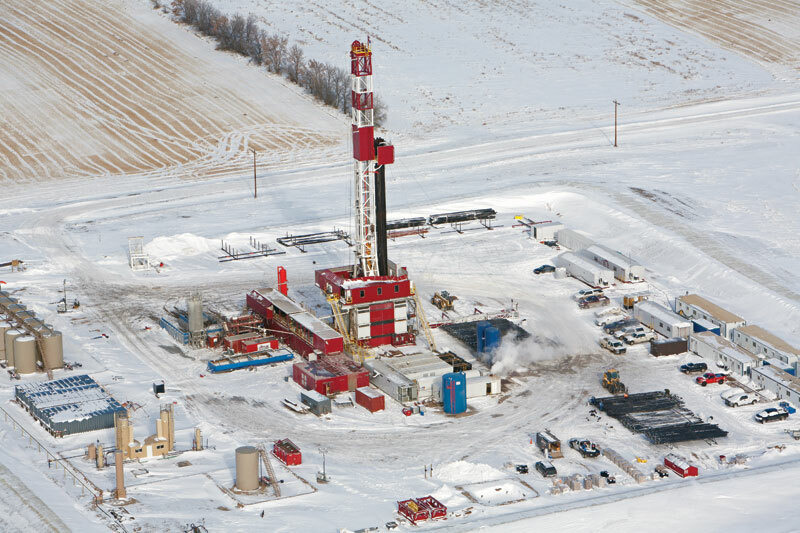 Canebrake 103 is working for Statoil in the Bakken. The 1,500-hp AC rig features an iron roughneck and a 500-ton top drive. As drilling intensity has increased in terms of time and equipment utilization, there is a need for more people to maintain quality and safe performance. 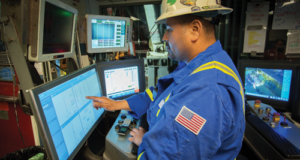 How can industry address the manning of rigs amid the increased drilling intensity? This has to be a joint effort between the operator and contractor community. 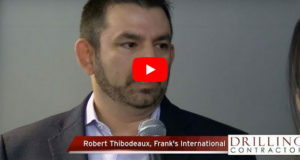 We have to get over situations where, for example, a customer will choose one contractor because he’s $500 or $1,000 a day cheaper but does not have a night pusher or maintenance staff assigned to the rig. It is in our customers’ best interest and in drilling contractors’ best interest to maintain an adequate crew so that our employees can rest and are not so distracted by the intensity of the operation that they cannot maintain the rig. A rig breakdown can undo much of the efficiency gains of today’s modern rig operations. As an example, when the operator has a day companyman and a night companyman, the night companyman generally feels like he has the same call on our rig manager as the day guy. The result is our rig managers don’t get enough sleep. That is not a recipe for your best effort. The answer is to have a night toolpusher, but many operators prefer not to pay for them. We offer a night toolpusher in our bids, but the selection process generally remains dayrate-centric without regard for efficiency. Hence, not all of the rigs have night pushers. How have demands on equipment changed with the increased drilling intensity? We are working with Statoil in the Bakken, where we are batch-drilling wells on multi-well pads. We complete one section of a well, walk to the next well and start all over again. After completing all the same hole sections on each well on the pad, we then walk back to complete the next hole section and so on. The time to walk from one well to the next is only 6.5 to 7 hrs. 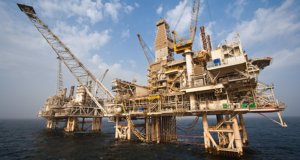 We’re putting a lot of stress on the equipment, and we need additional maintenance personnel onsite who can ensure that the rig is being adequately maintained and inspected to try to find equipment issues before a breakdown occurs. Downtime is bad for us, and it is bad for our customer. We firmly believe that preventive maintenance is a value-creating proposition for customer and contractor. With the ever-increasing focus on safety and the environment, we need more active eyes on location looking at the operations to ensure that things go right. A night pusher and extra rig hand would greatly assist in this regard. The rig count is dropping right now; yet, the number of wells drilled is going up. That is efficiency, and it is not solely because of the drilling contractor. Although the operator has a huge impact on efficiency, as do the other service companies, at the end of the day, everything in a well runs through the rig, and that rig is running all the time. If you are compressing the time from start to finish on a well by up to 40%, it is that much tougher on people and equipment. 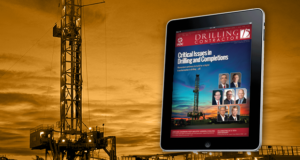 How can drilling contractors ensure the integrity of equipment in such stressful situations? Preventive maintenance is the answer. Preventive maintenance is the norm offshore. Equipment is regularly monitored, surveyed and tracked by computer. Sidewinder is introducing that process on all of its rigs. We are also changing our rig managers’ attitude toward maintenance. We used to have certain rig managers with more of a break-fix mentality – running the equipment until it breaks. Sidewinder is focused on preventive maintenance and does not wait for a broken piece of equipment to be brought back to the shop. Our mechanics and electricians are out on the rig, conducting surveys and doing maintenance on a regular basis – just like offshore. The industry is seeing a shift from older mechanical and SCR rigs to AC-powered rigs. 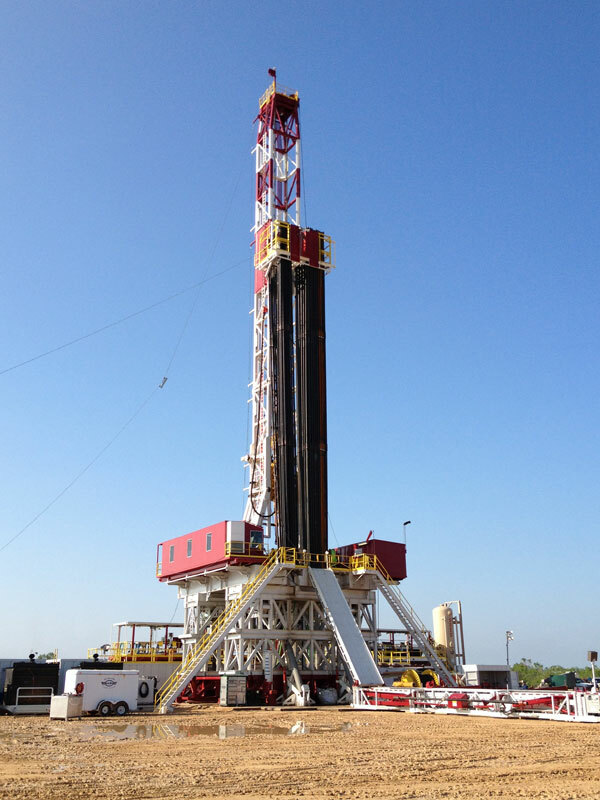 Sidewinder’s Canebrake 101, a 1,500-hp walking AC rig, is operating for Rosetta Resources in the Eagle Ford. As rig advances and batch-drilling techniques increase drilling efficiency, how are drilling contractors impacted since well counts are up yet rig counts are down? People generally view efficiency improvements as negative to the industry. I remember two prior breakthroughs that pundits believed heralded the demise of the drilling business. One was the invention of the top drive. People thought, “This is going to be so much more efficient; we’ll never need to have as many rigs.” Then it was horizontal drilling, and people said, “We’ll drain so much more out of the reservoir; we’ll drill half the number of wells. We’re only going to need half the number of rigs.” None of that came true – in fact, demand ultimately increased as drilling efficiency made increasingly smaller fields economic. I see the same thing happening today on land. We really are significantly improving efficiency, but what we haven’t seen is the other side of that. Smaller reservoirs are now economical because we can drill faster and cheaper. The biggest potential offset to improved efficiency, particularly in unconventional reservoirs, is down-spacing. In order to improve their field economics and estimated ultimate recovery, operators may double or even triple the average number of wells they drill per acre. The result will be more wells drilled and more rigs required. We are seeing some down-spacing but not on a wide scale. Given your offshore industry experience previously with Transocean and Scorpion Offshore, what lessons or takeaways can you bring onshore? 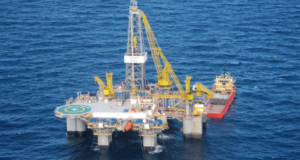 At Scorpion, we had seven rigs – all high-spec jackups – working all over the world. In five years, our most significant injury was a broken ankle due to a failed sling, where a bolt came out and allowed the pipe to roll up against the employee. We’ve taken the Scorpion Offshore safety management system and adapted it to Sidewinder. It was designed by the crews, for the crews. Our first three employees were rig managers, and their job was to go through the Sidewinder safety manual to see what we do onshore. It’s a risk-based system where people are expected to assess the risk of the job they are undertaking and apply the appropriate control measures. Offshore, there is more time; there are more people to train others. Onshore, you do not have the downtime. You do not have a rig clerk, a medic or people who can always spend the time training our people. We have HSE professionals who go to the field and do this, but it is taking a while to get the full-level buy-in and acceptance we are hoping to get. What is the status of the program? What is hindering employee buy-in? We started the program at the beginning of 2013. We are at the stage of reinforcing the message as frequently as we can, both through drilling management and company management. Our system is new to many of our rigs, and there is a credibility issue with people who have not seen it work. The crux of the system is to get people to think about what they are doing before they do it. We want everybody to assess the risk of the job and then decide if a mental, verbal or a written planning process is required. 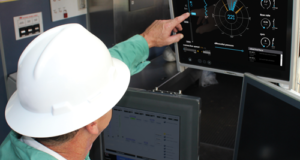 If a job is high risk, written procedures are available from our rig computers that help the individual evaluate the risks. Employees are expected to review the procedure with everybody involved and to sign off that the procedure is understood. Only then should the operation begin. Our recordable incident rate declined every month in 2013, but it is not near what we think it should be yet. We lowered our TRIR by about 60% in 2013 to 2.2. This is above the industry average, but it is not acceptable. However, the improvement indicates that our programs are working. You have a goal to reduce Sidewinder’s TRIR by an additional 50% in the next 12 months. How is your organization maintaining the momentum for continued improvement? Similarly, how can the industry continue its safety improvement and avoid complacency? All of our management remains focused on the implementation and use of the Sidewinder safety management system. Our HSE group reinforces operations’ leadership at every opportunity. We do not change our systems and programs; therefore, employees will become more familiar with them. We also focus on personnel development. We review our employees every six months, and they are given the opportunity to meet with their supervisor to discuss what is working, what is not working and what are the improvement opportunities. Complacency can take many different forms. There are some really energetic people who want to do a good job, but they’re complacent with respect to risk management. They are willing to take shortcuts because they think they are speeding up the process. These people end up causing incidents – often to themselves. We strive to identify complacency as part of our HSE audit and personnel review process. We would much rather have people buy into our programs and develop a career at Sidewinder; however, if an individual is not willing to do that, opportunities at Sidewinder are limited. 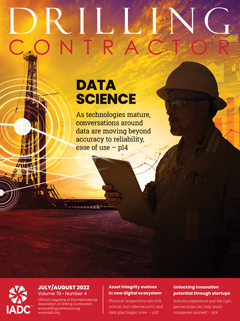 With significant improvements in efficiency and capabilities of new-generation rigs, how are drilling contractors managing costs and participating in that value created for customers? When you reduce drilling time and costs by as much as two-thirds, it is not just the drilling contractor. It is a team effort involving the operator, drilling engineers, third-party service companies and the rig and its crews. The collaborative effort results in tremendous value creation from using the drilling rig effectively. We’re trying to capture some of the value creation through incentive contracts, where we are paid for performance. Achieving a performance bonus helps to offset the additional capital cost for modern rigs. They are a lot more expensive than the last generation of land rigs. After winterization, walking systems and all of the mechanization, modern rigs can do more, and they cost more. Although you see a lot of “headline” numbers touting newbuild rigs for $16 million to $18 million, by the time you pay for pipe-handling tools, a catwalk machine, a walking system, sales tax, capitalized interest, start-up crews and project management, etc, the all-in cost of that rig can be closer to $22 million to $24 million. In order to get fairly compensated for that, in this rate environment, we like performance contracts. It benefits our customer and incentivizes us to drill faster. We get a little bit extra dayrate, and it helps us meet our investment guidelines. Overall would you say you are shifting or seeing an industry trend toward performance-based contracts? Four of Sidewinder’s initial five rigs came out under performance contracts, and subsequent to that, almost none. But we like it. As long as there is a consistent program and we are not gambling on one or two wells here and moving somewhere else, we are happy to take performance risk. It is a win-win situation where the contractor is compensated for delivering cheaper wells and for enhancing the customer’s net present value by getting a field on production sooner. We would like to see more performance contracts, if possible, but the customer ultimately decides the compensation program. 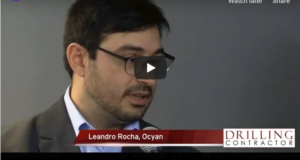 How can industry improve those two operating imperatives – performance and cost? This is where a cooperative relationship comes in. The drilling contractor, oil company senior staff and on-site supervisors from both parties need to work together to plan the operation. There’s nothing like having a truckload of casing show up when you are not expecting it. If, at the beginning of the day, the companyman and the toolpusher say, “The casing is coming in today. Mud materials are coming tomorrow. This is going to happen…” then it allows us to plan our business. We implement the customer’s program, and during the course of planning, we can contribute ideas for performance improvement. The to and fro of sharing ideas results can result in reduced drilling times using the drilling wells on paper (DWOP) process. It is surprising that the industry does not make better use of the DWOP process. If the well is not being drilled as quickly as expected, why don’t the parties sit down to determine a better forward? After a well is drilled, the contractor and operator should review the operation and decide what did and did not go as planned. In the early ’90s, the industry was starting to move in that direction, but today, I do not see as much of the DWOP process on land as I would have expected. Reducing well cost is all about fit-for-purpose equipment and good planning. If you combine this with a good review process, there is an excellent opportunity to achieve superior results. In April 2012, Sidewinder introduced the Canebrake 105 rig with a walking backyard, which is the only one of its kind operating in the Lower 48. What benefits or value has this rig brought to operations? Do you foresee this type of rig becoming more prevalent in the industry? The backyard, which is the mud process system, the mud pumps and the power-generating units, is mounted on a separate walking system. The backyard on Rig 105 is only 55 ft by 85 ft. The backyard walks with the mast and substructure, which allows greater travel distances on a pad without having to bring cranes and trucks to reset the backyard. It provides our customer a lot more flexibility as to where he puts the backyard on the pad, and it saves him money by not having to relocate the backyard. The 105 is well suited for locations with very large well spacings or, alternatively, small pads with little room for the rig. We have talked to some companies that are building 16-well pads; the 105 would be ideal for that application. So far, we have had a very good reception in the Bakken with Statoil. A traditional AC walking rig is limited in the distance that it can move before the backyard has to be reset. With Rig 105, we are batch-drilling the surface hole, intermediate hole and the horizontal section. By drilling all of the same hole sections on different wells at one time, we do not have to change out the mud system as frequently, saving time and money. 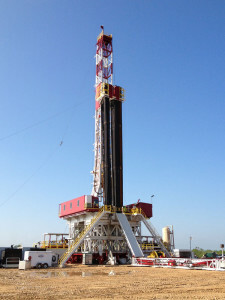 We have two rigs under construction that we believe will allow us to improve upon the experience gained from Rig 105. We’ve specified the mast of the substructure and are waiting to find a customer to determine how we will complete the rigs. We want to avoid building a Bakken-style backyard and then have somebody request to take the rig to Appalachia. In what other areas do you see room for innovations in rig designs? Mechanization will continue to grow. I expect more widespread use of the Iron Derrickman. In the winter in the Bakken when it’s 25°F below zero and there’s a 30-mph wind, it is nice to have a piece of steel up in the mast instead of a human being. We do not have any iron derrickmen yet, but I believe they will become more commonplace. 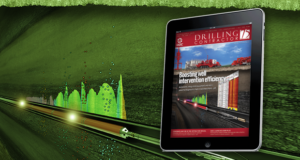 The improving quality of software and drilling controls is a major development for the industry. 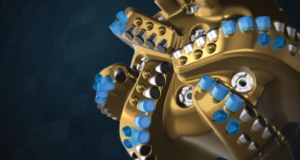 It allows more precise control of weight on bit and other drilling parameters so that dialing in the right inputs to optimize drilling rates will be easier and possibly remotely managed. In the near future, I do not see drilling automation to the extent that the driller can push a button and trip in the well or push a button and trip out of the well. I’ve heard the analogy – if we can fly a plane from Europe to the US with a computer and land it with a computer, why can’t we automate a drilling rig? When that plane lands in Houston, you don’t tear it into pieces and truck it to Dallas before you fly it back to Europe. The rig-moving process is problematic for us. Since we tear a rig down every time we move, everything is unplugged and broken into moveable components. You undo all your electrical, hydraulic, water, air and steam lines. We will get better at moving, and rigs will become more automated. However, the deconstruction process on every move will slow the pace of automation on land rigs. I fully expect greater levels of mechanization of rig equipment and greater automation of the downhole process. Sidewinder has announced setting records for Statoil in the Bakken, EP Energy in the Permian, etc, in terms of drilling times and days to spud. What technologies or processes are making these record-setting operations possible? What further improvements are needed to continue enhancing operating performance? The old-fashioned technology is people. Our rig working for Anadarko is a new mechanical rig. Having the relationship between the operator and the contractor is key. In the Bakken, the people side of performance is enhanced by the walking systems and the fluids-processing systems. The new rigs really do deliver performance, and we are trying to think of ways to do things better every day. As an industry, we are on the right track – the onshore business is being transformed. We are going to higher-capacity equipment, a more mechanized and automated drilling process, but most of all, we need increased emphasis on people development and safety. The piece that makes it all work is people. As an industry, we really need to ensure that we are getting people in the door who are going to be the employees of tomorrow. It is not a problem to find warm bodies. There are people there, but we would like to find individuals who view land drilling as a career and not just a job. The more people who are seeking a career, who are proud of what they do, who are proud of the company they work for, the better off we are all going to be. Great article with very interesting discussion and insight from Jon Cole of Sidewinder Drilling.